How do you make your customers feel special? 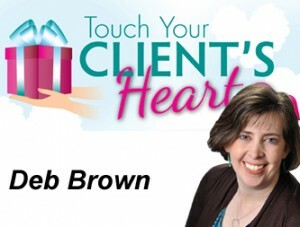 Learn the tricks of the trade with the help of Superhero Guest Deb Brown of Touch Your Client’s Heart. Stand out from your competitors by employing a few simple methods and find out why starting a business is more effective than birth control. © 2012 Small Business Finance Forum LLC | All rights reserved.